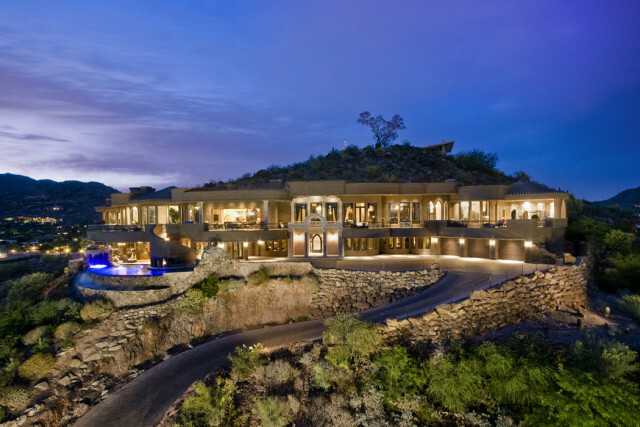 To early residents, only the word “paradise” could aptly describe this jewel in the Sonoran Desert. Paradise Valley was incorporated as a Town on May 24, 1961. Today, the Town is still a small residential community of 16 square miles, with a population of 12,820 and approximately 5,643 homes. Although the Town of Paradise Valley is conveniently located between two large municipalities – the City of Scottsdale to the east and the City of Phoenix to the west – it continues to maintain its unique residential zoning that strictly enforces the vision described in the Town’s General Plan. Town government is dedicated to preserving the residential character of the community. Residents enjoy and appreciate the peaceful and quiet surroundings, the open space, the dark nighttime sky and the unobstructed views of prominent geographical features – the Phoenix Mountain Preserve, Camelback Mountain, Mummy Mountain and the Indian Bend Wash. Although Paradise Valley is primarily a residential community, there are nine world class resorts that capitalize on the beauty of the Town and blend perfectly with the homes and landscape. The town’s resorts offer residents numerous recreational opportunities, such as golf and tennis, as well as some of the finest dining in the area.